TSC has one each at Belmont, Louisville, Troy, and Miss State. That is true commitment. Looking back, high school (and in many cases, high school soccer) is so Mickey Mouse, but for a young lady to give up the last part of her senior year for soccer is impressive. I wish those four well. Was able to recently see 6 UTC commits for 2018/2019 in Knoxville. Only four played though. The FC Alliance and TSC ECNL teams played each other. The U17's had four commits play head to head. I was impressed with the size and athleticism of the FC Alliance kids. The TSC kids looked like pipsqueaks compared to the FC Alliance kids. The FC Alliance U17's were Mackenzie Smith, and Avery. Both played well and are bigger kids. The one who stood out most to me was in the U18 game. AK for FC Alliance was very good. Tall (5'10"ish), fast, and technical. She's going to help the UTC team in a variety of ways. She's competitive and talented. TSC had two U17's. Grace Klippenstein did not play due to injury. Faith played in the mid but didn't do much attacking since TSC played with three backs with Harper White out and the usual #6 (Grace) out. FC Alliance might have had three shots on goal? 2018 signee Shelby Hash didn't play that weekend. Lots of talented players between those two clubs and the Lobos as well as across the state in other clubs. Looks like the new 2018 signee from England is the real deal. Very impressive bio. A few things. You mentioned the size UTC is recruiting so I looked at the Roster. 12 players are 5'7" or taller and 5/6 of the 2019 commitments are the same. So a projected 17 of their 28 rostered players next year will be at least 5'7". Ironically the GK is under that. Obviously height is not a requirement to be a good soccer player but it's does seem to be a trend for UTC? Lastly, Faith left TSC for FC Alliance so she could play with 3 or 4 UTC commits. It's exciting for her and us. She will begin making relationships with the ladies she will spend the next four years with. Unfortunately, TSC won't let her play against them next year. They have no rights to her but have forced Alliance to not play her against them. It's very unfortunate and shows the bad side of youth sports. TSC won't let her play against another club? I do not understand. Does TSC own the rights to a high school player? More than likely, TSC is scared of what Faith could do against them and is hedging their bets. The funny thing is TSC is the big dog in Tennessee. For them to be scared of one player shows how tenuous their belief in themselves is. Good luck to Faith in whatever she does. I am sure she will excel. Player's team has really found some traction with his recent high school recruits. I saw the 3-0 win over Troy yesterday and noticed what prominent roles the recent hs grads played in the victory. If UTC continues to recruit well, they will likely supplant Belmont and Lipscomb in the state's soccer hierarchy. Heard CPA lost 9 to nothing tonight? Is that correct? Big G may have some work to do on the defensive end. How many did the UTC player get? Guessing a ton. This throws the D2-A race wide open! Haha. 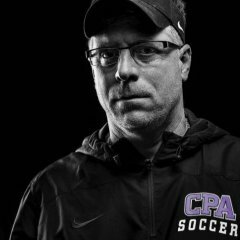 CPA killed DCA 9-0. DCA wasnt competitve. Just have too many key kids out with injuries including the Jr GK. All 4 were hurt in the first game against WHH. Might not have been much more competive with them though. Getting healthy is DCAs first priority or they wont be competive against good teams. Kids played hard though. Youll have to ask Coach G his opinion of the UTC commit. Moondog and Elmer probably are sharing the same glue. The game started off with DCA having the run of play. They have a couple of girls who, when working together, really gave some good looks at goal. Faith is always a threat from most any distance. I think when they get everyone healthy, they will do some damage. Coach Smith knows his stuff. In D2 A, just having a couple of injuries can really make a huge impact. Good game G. Your kids are well coached and played hard as usual. Faith having played with Kayla kinda knows her tendencies (she had a plan going in) and she knew should couldn't beat that gauntlet you set up so she was going to take some very “ambitious” shots. Lol This year getting the ball 60 yards from goal against teams and trying to beat the kids teams have there is fun to watch but not very successful so far. Watching Cece, Megan, and Faith compete was fun. She has been frustrated with the injuires but knows they just need the younger kids to learn throughout the season and everyone just get healthy for the tournament. She appreciated you talking to her and as always you showed you're first class. Even Todd, Sean, Larry, Kris, and Pam were really nice to Faith afterwards. That meant alot to her and us as parents. Faith has a bright future. From the growth we are seeing from Chattanooga, this will be her last year of having too few players to complement her offensive talents. She will likely be a scoring machine when she gets to UTC.